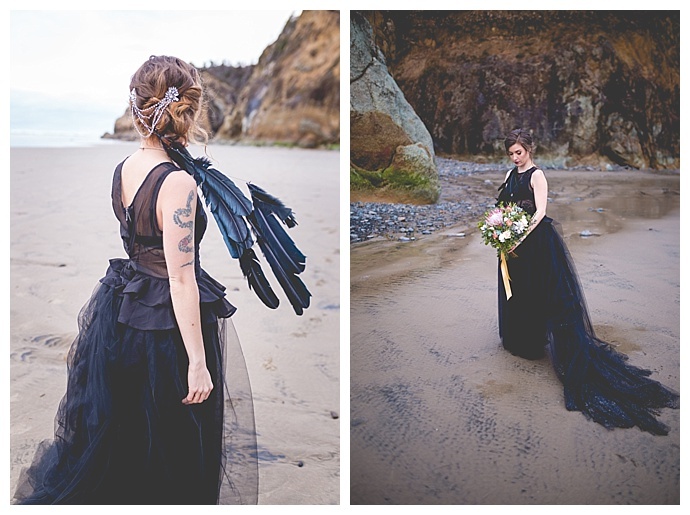 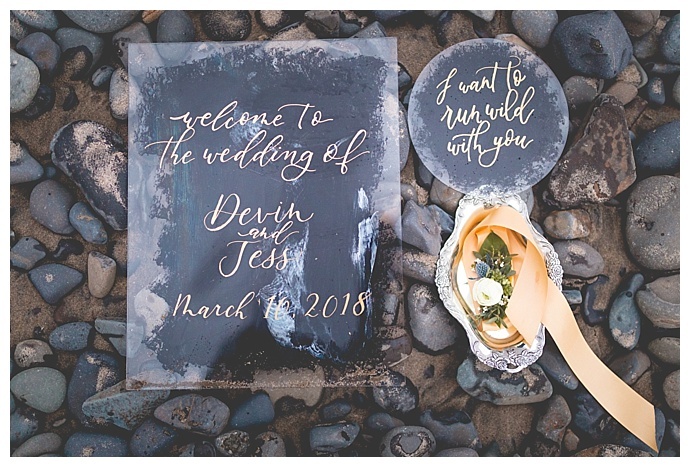 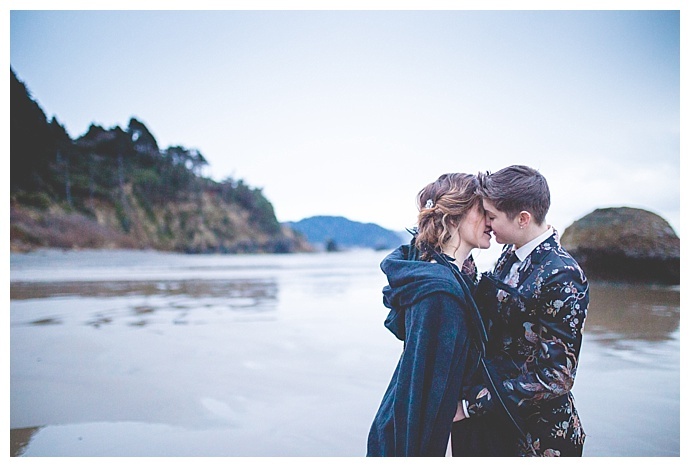 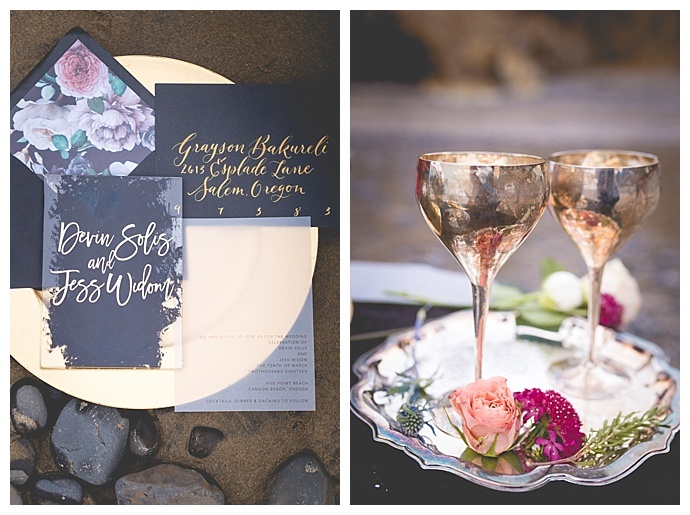 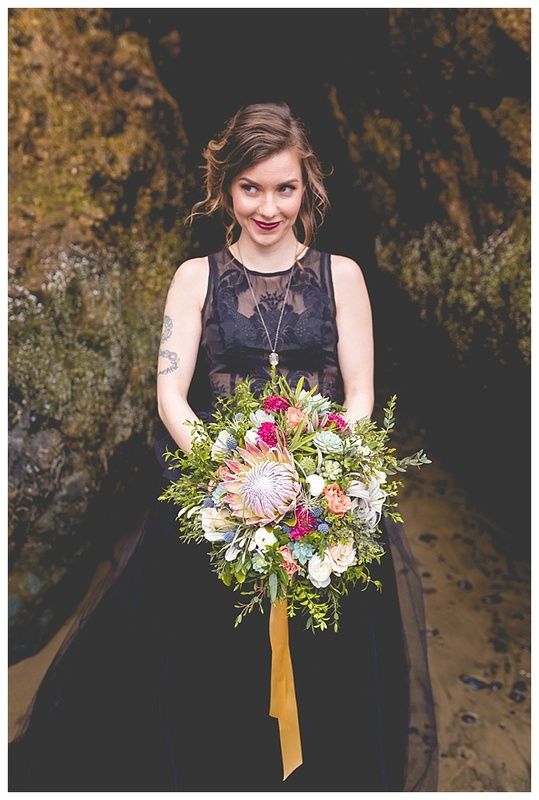 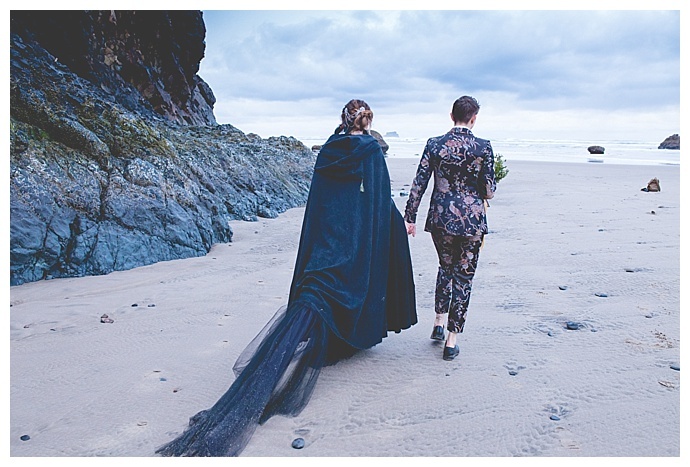 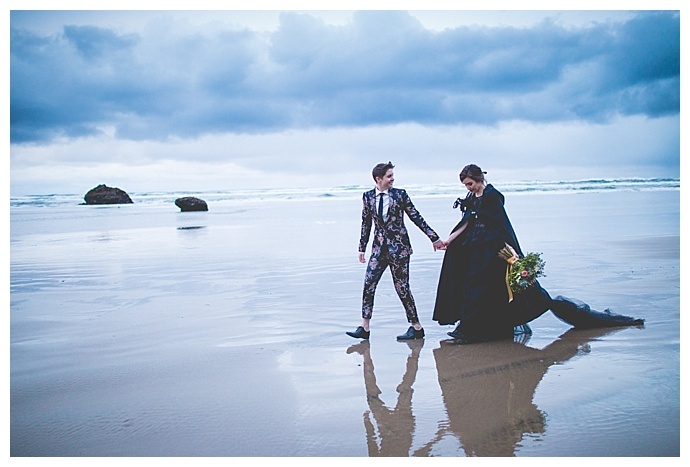 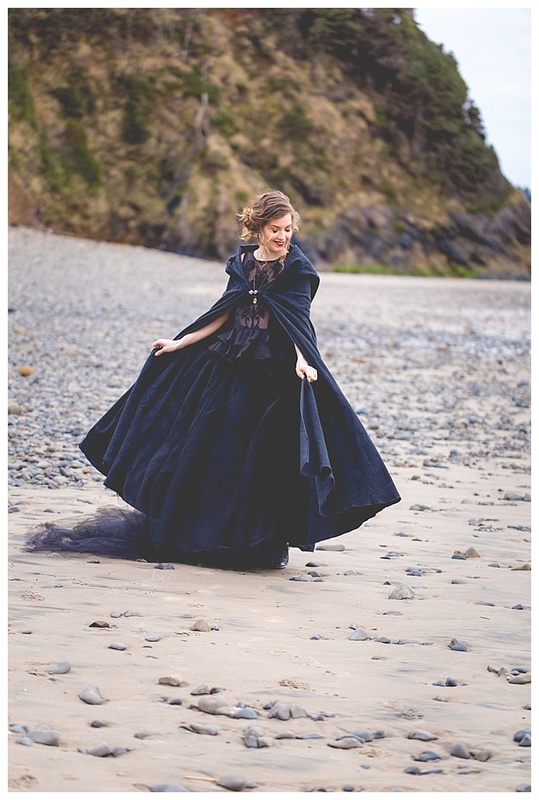 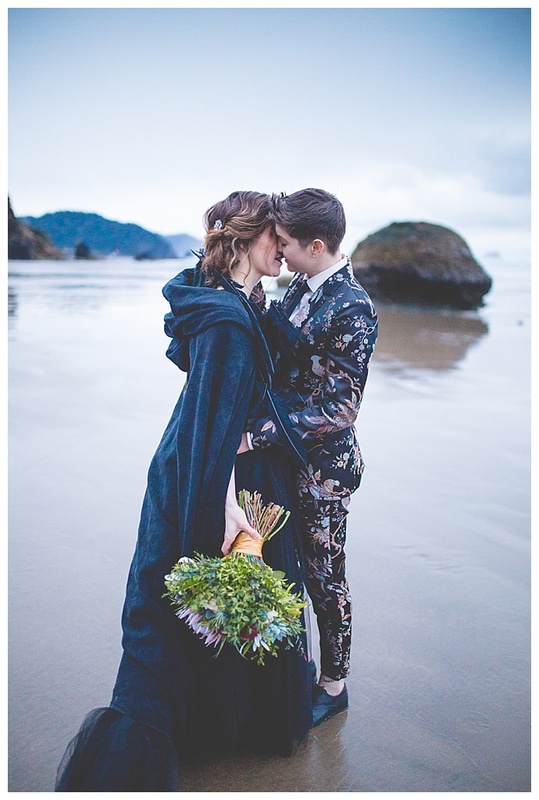 Oregon’s signature gray skies hovered over Cannon Beach where a talented team of creatives set out to put a moody, modern twist on a coastal wedding inspiration shoot. 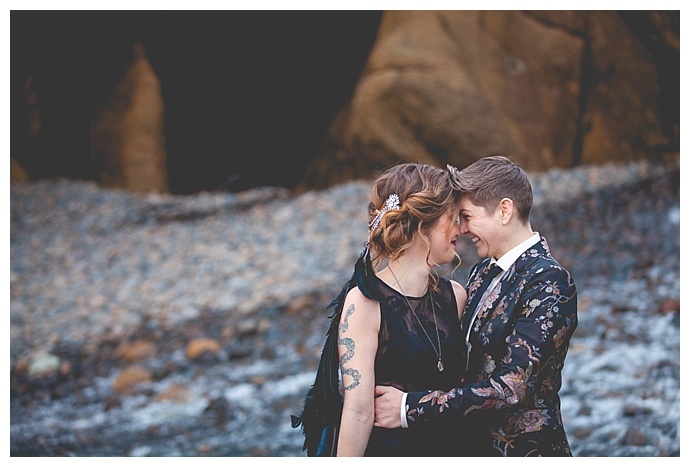 Inspired by goth glam and non-traditional bridal attire, two bold outfits were selected to show striking alternatives for soonlyweds searching for something other than white to wear on their wedding day. 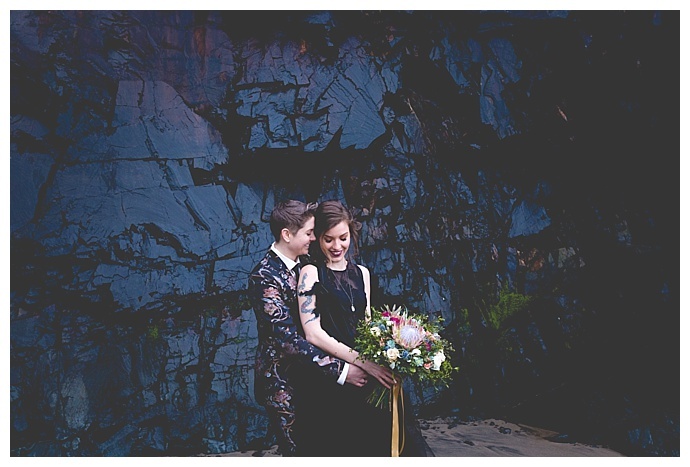 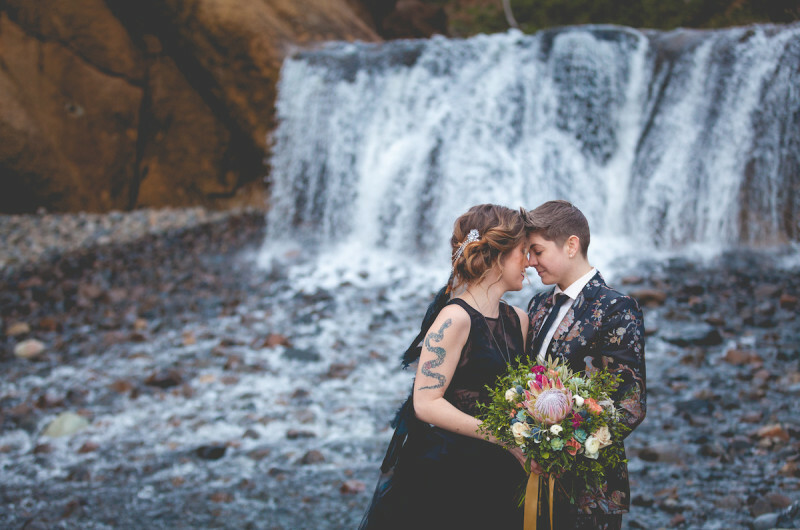 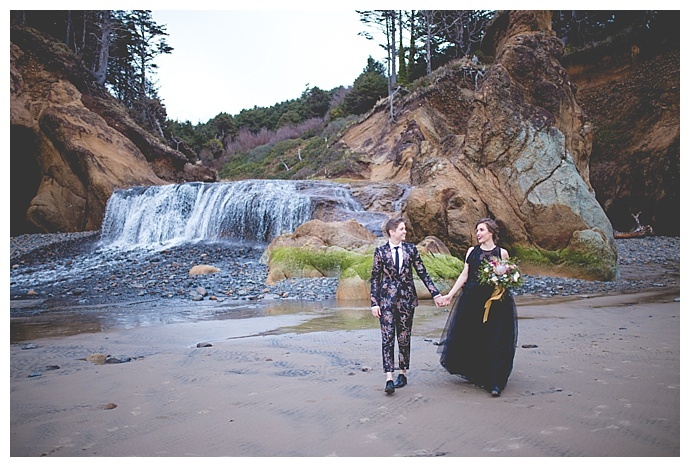 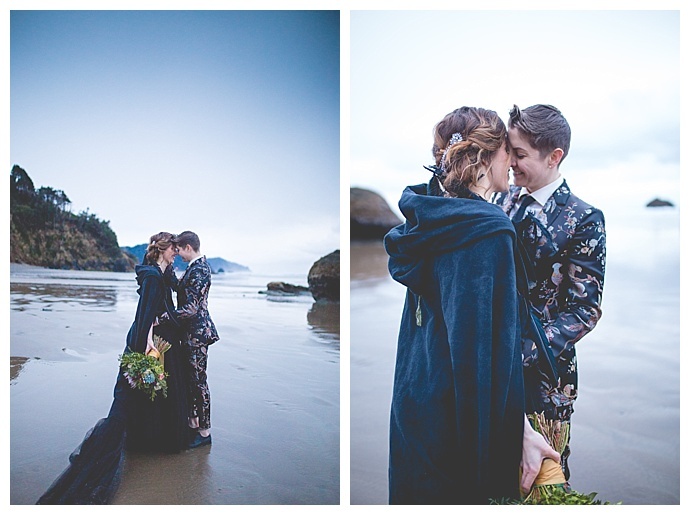 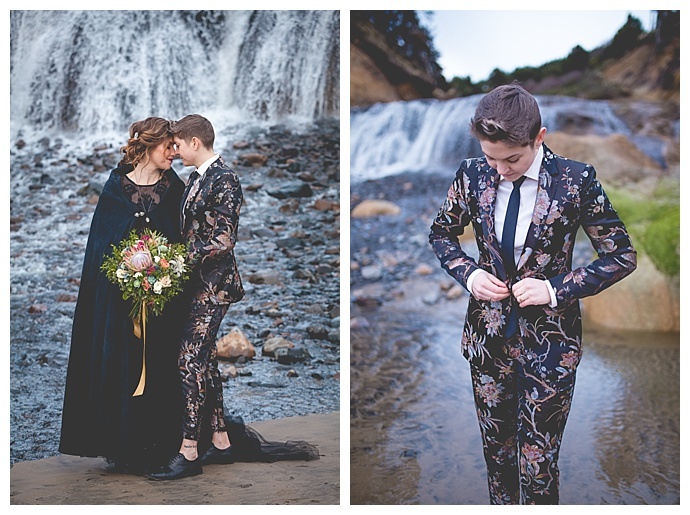 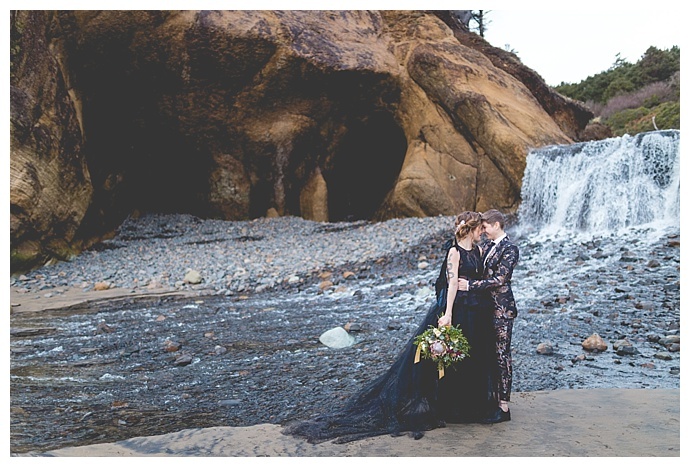 The brides look absolutely stunning dressed in a floral slim-fit suit and a whimsical black tulle skirt paired with a sheer top, their outfits complementing each other perfectly. 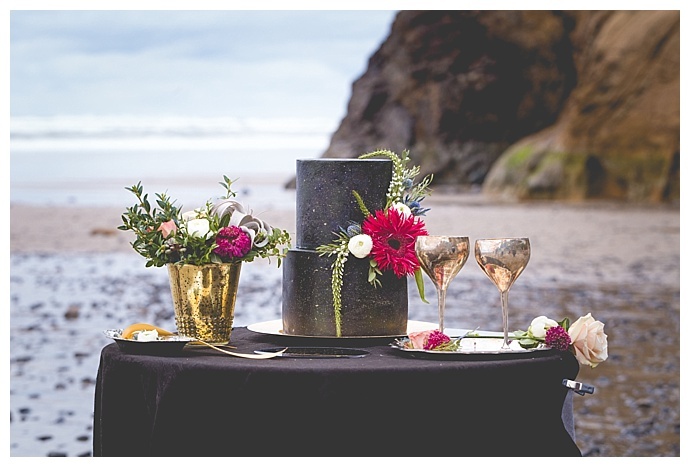 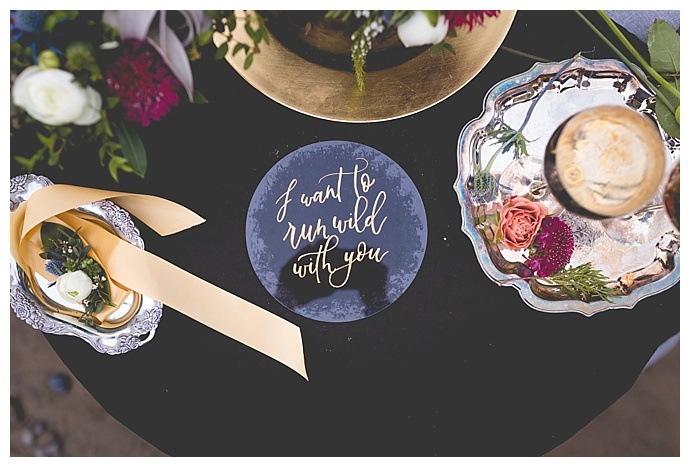 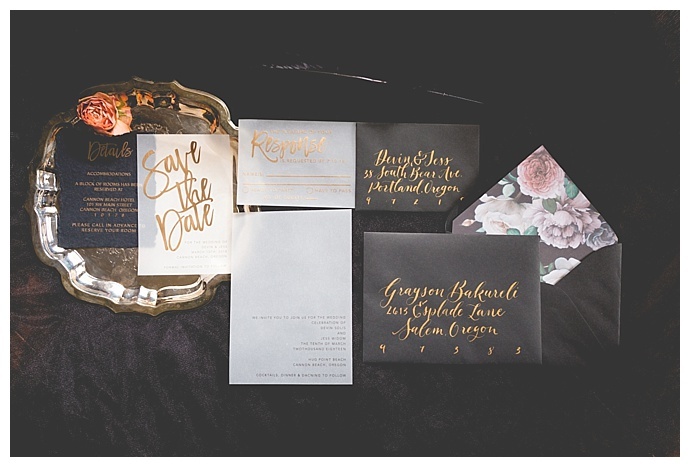 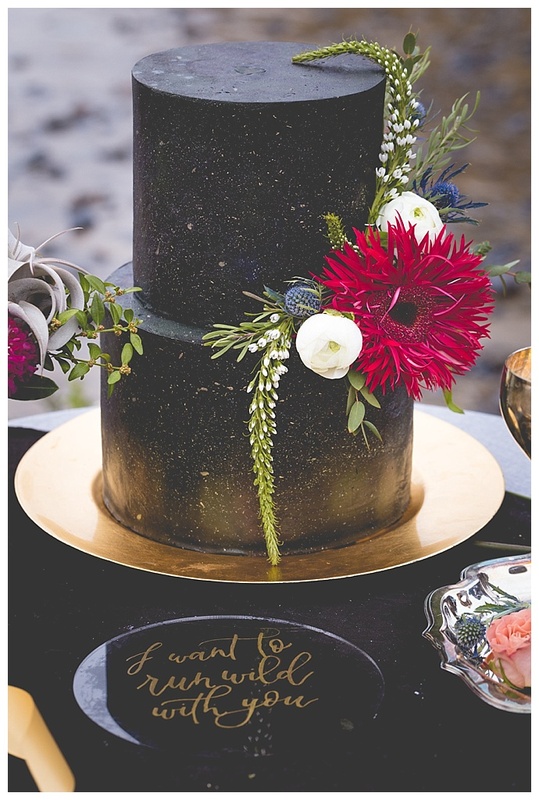 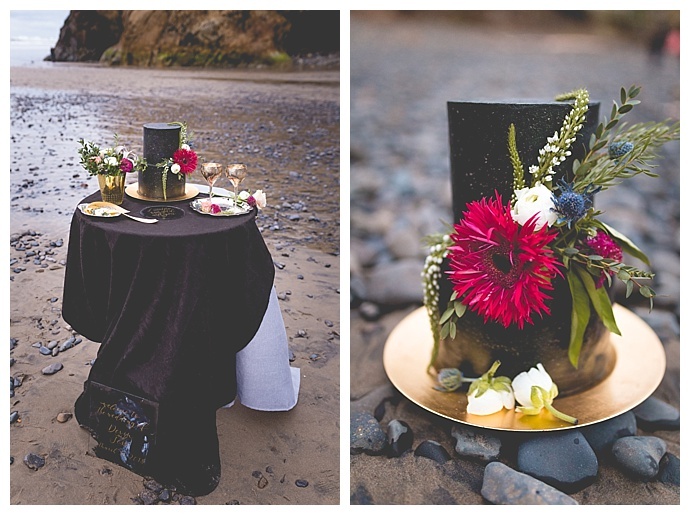 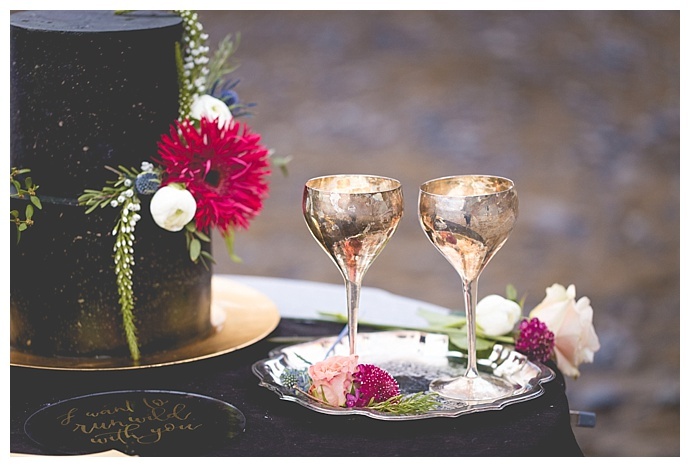 Captured by Someplace Images, today’s shoot, while filled with dark, moody details, also embraces the captivating metallic trend by incorporating beautiful touches of gold. 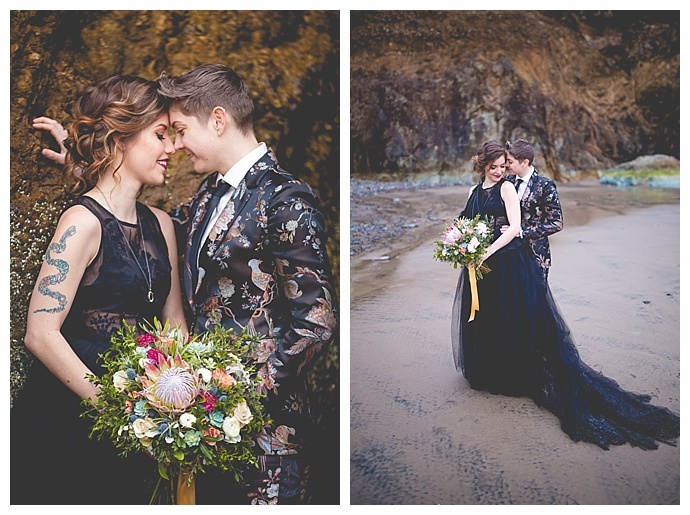 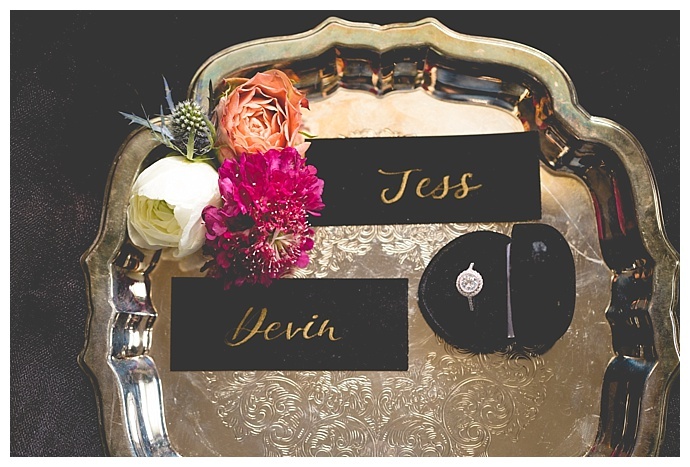 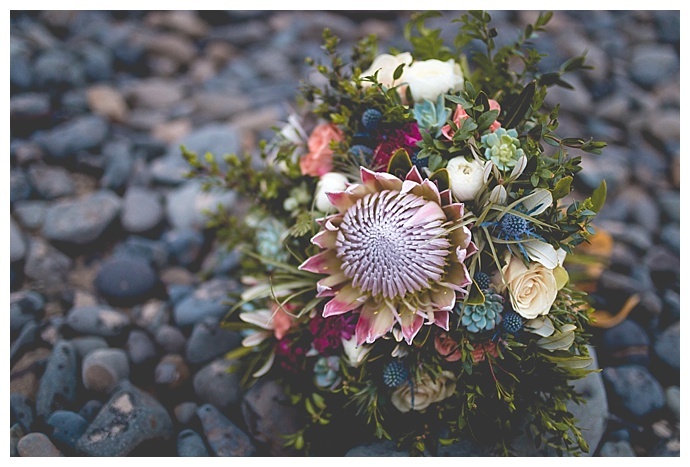 A bouquet of lush florals and brightly colored blooms also adds a colorful balance to the dark, dramatic color palette, but it’s the two brides and their fierce love that truly steals the show!